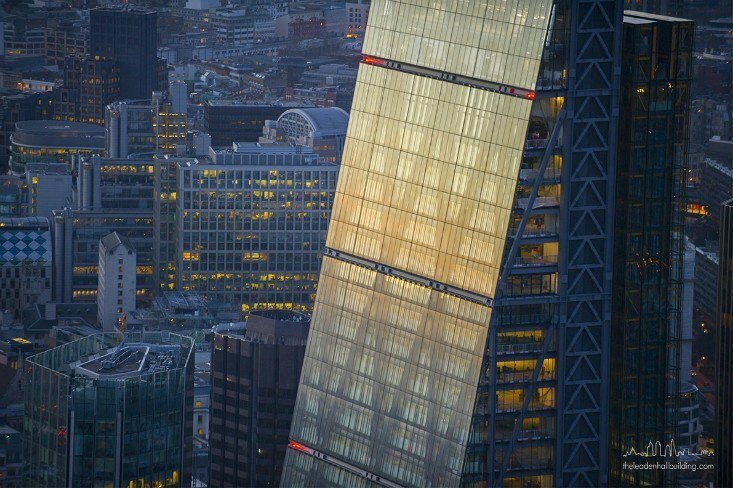 Having opened in Summer 2015, floor 42 of the Leadenhall Building is London’s highest dedicated event space. 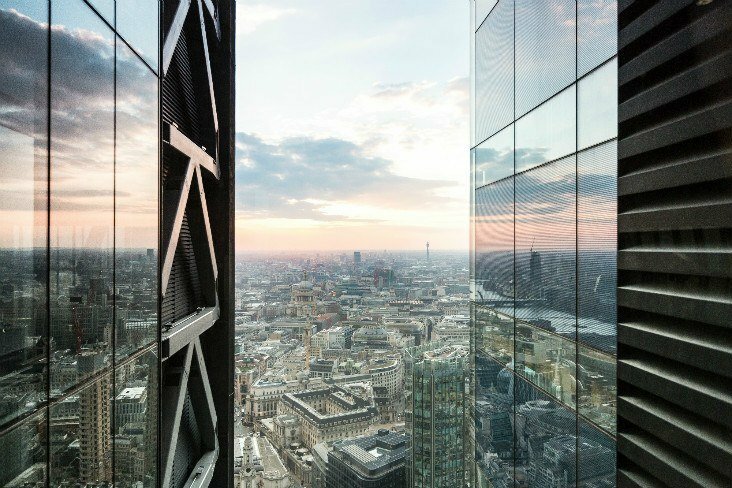 Floor 42 of the Leadenhall Building is London’s highest dedicated event space. 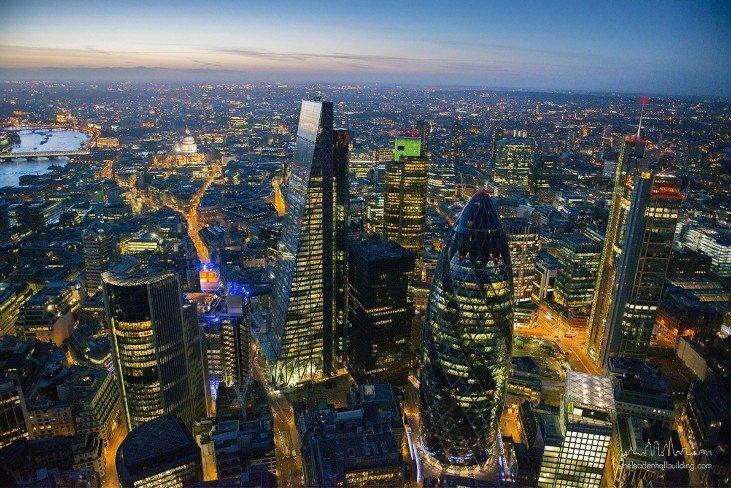 Famously known as the Cheesegrater, this contemporary space offers panoramic views of London, stretching over six counties. 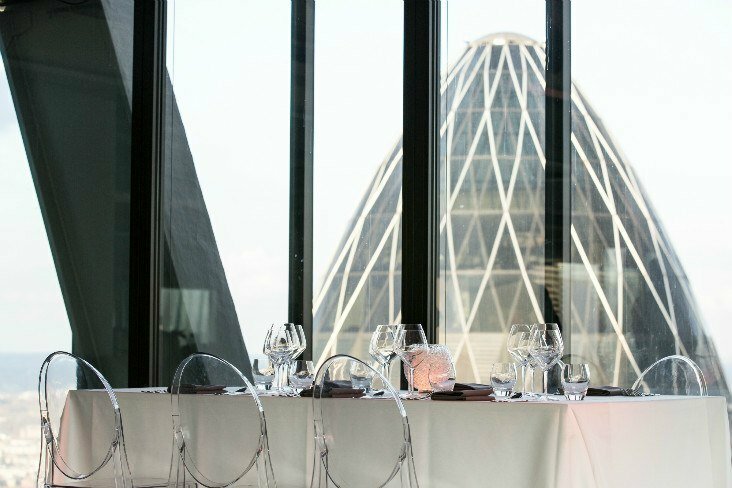 From the venue guests can look down on landmarks such as The Gherkin and the Walkie Talkie building. 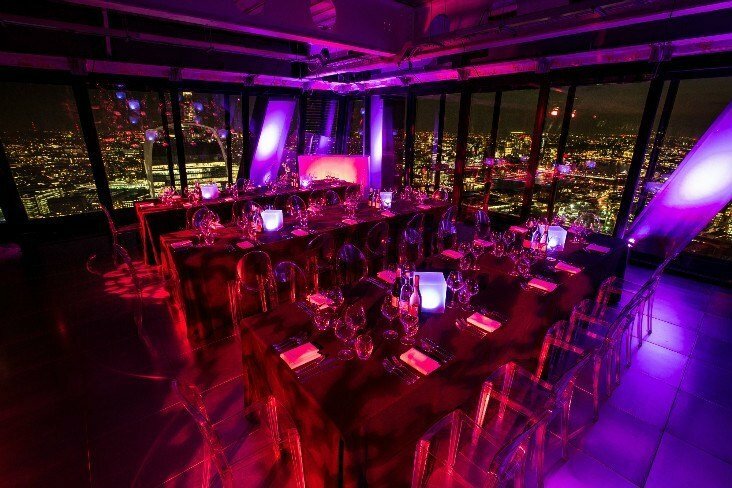 The venue is London’s newest event space, offering over 5,000 sq. 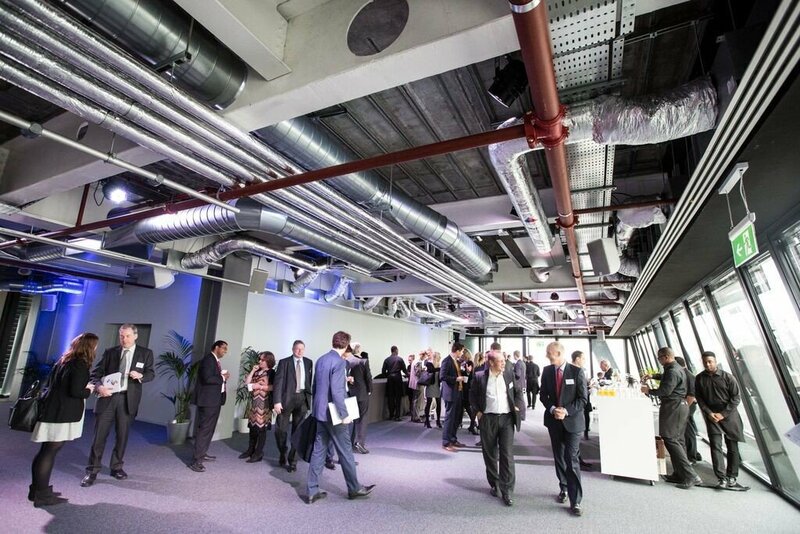 ft. of flexible space. 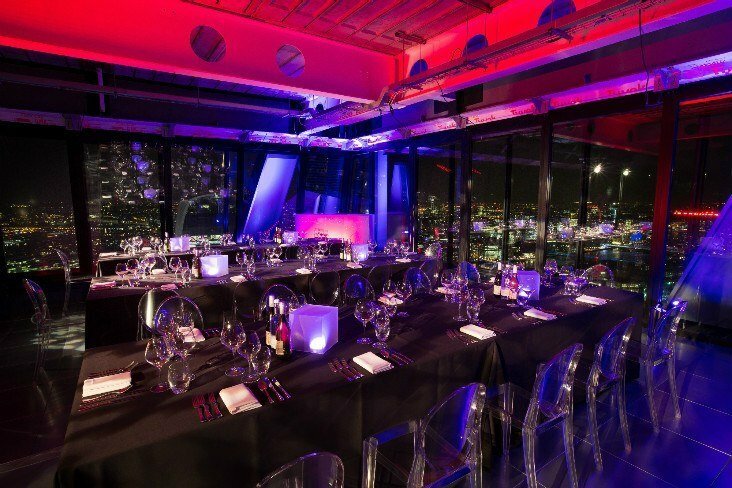 It can cater for conferences and receptions for up to 300 guests or delegates and up to 250 for seated lunches, dinners and parties. 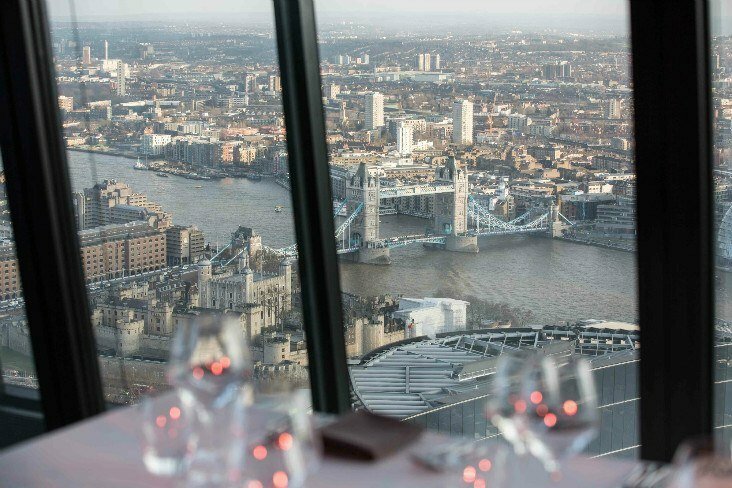 Located 650ft above the street in the heart of the City’s financial district and served by the fastest scenic lifts in Europe; the venue offers spectacular views of the river and many of London’s major landmark buildings from its triple aspect floor-to-ceiling windows. 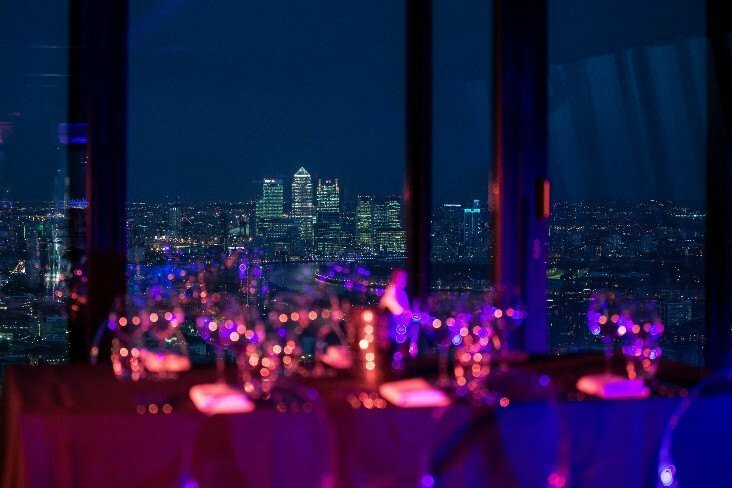 The venue has undergone an extensive fit-out which includes fully equipped kitchens purpose built for exclusive caterer, Create Food and Party Design. 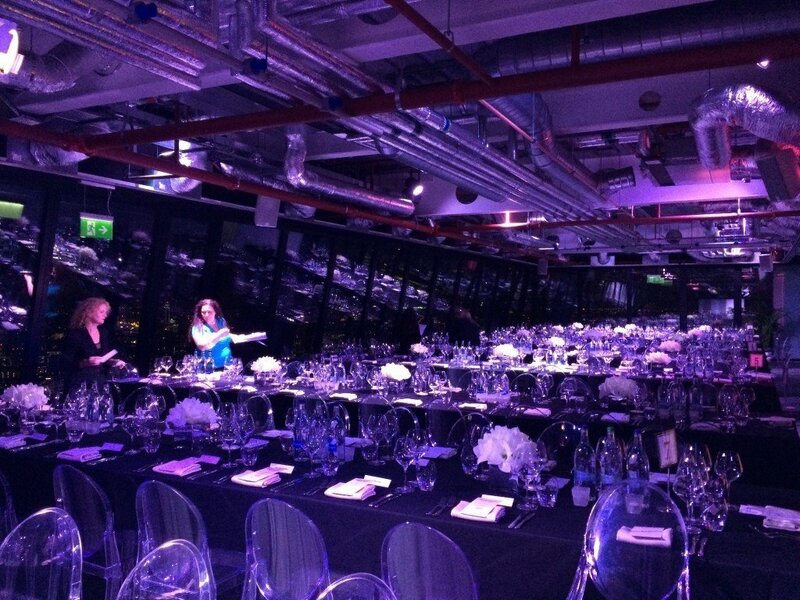 Audio-visual equipment includes the latest LED colour change atmospheric lighting and full sound systems. 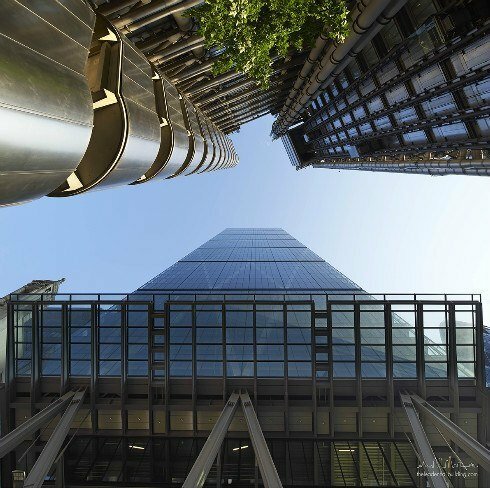 Designed by Richard Rogers and developed by British Land and Oxford Properties, the new Leadenhall Building is 225m (737ft) tall, with 48 floors. 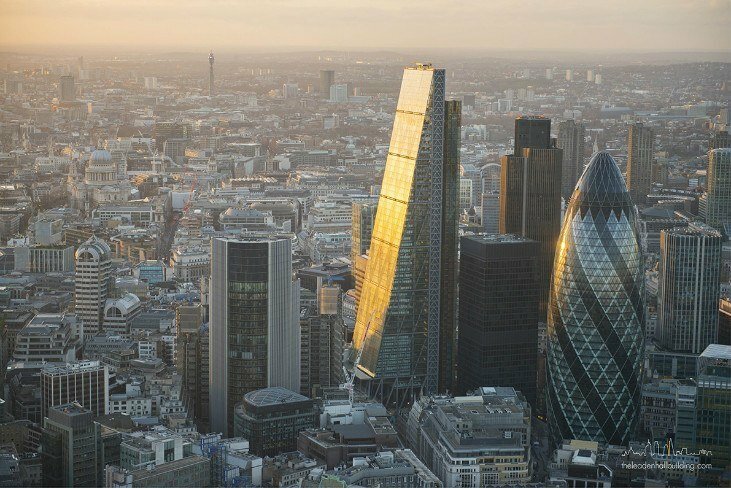 The commercial skyscraper, opened in July 2014, is informally known as “The Cheesegrater”* because of its defining feature – a distinctive tapering shape, angled at 10 degrees, which the architects developed from the earliest design stage. 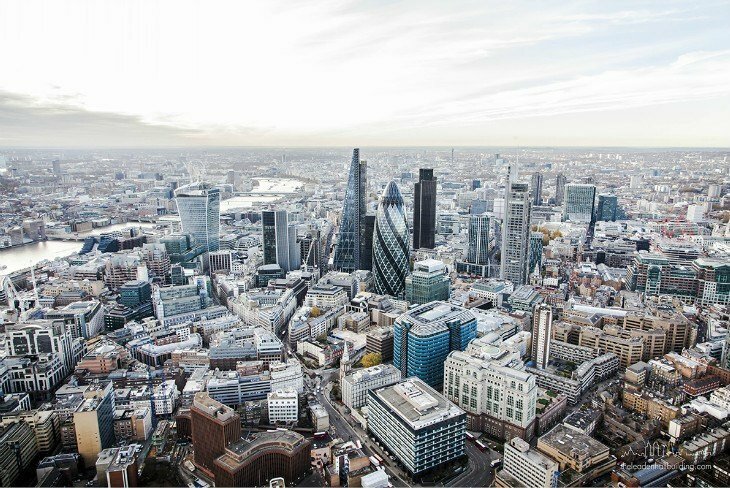 This was a response to specific planning requirements protecting views of major London landmarks, especially St Paul’s Cathedral in the City and the Palace of Westminster. 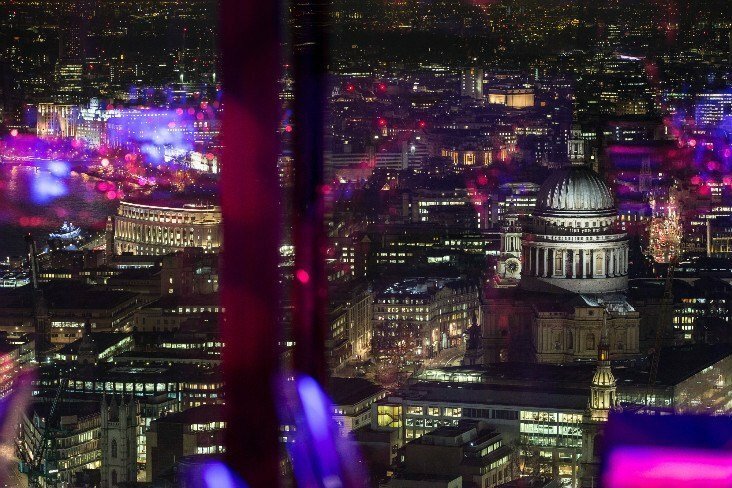 It is for this reason that the building, when seen from the key vantage point of Fleet Street to the west, appears to ‘lean away’ from the world-famous dome of St Paul’s. 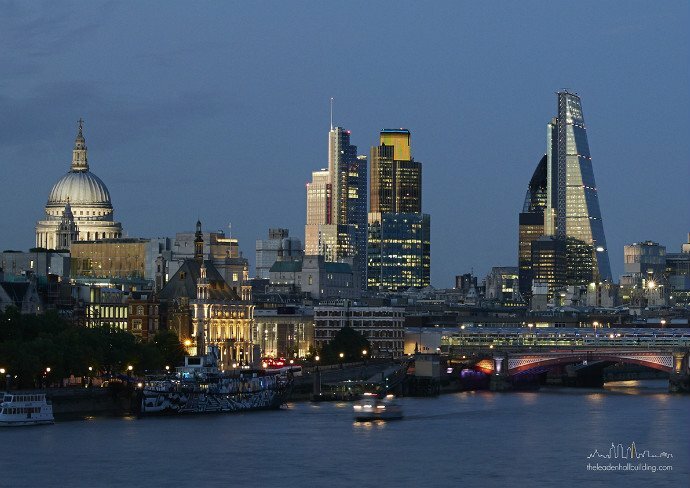 respond to the sun’s movement, keeping the building comfortably cool in the summer months. 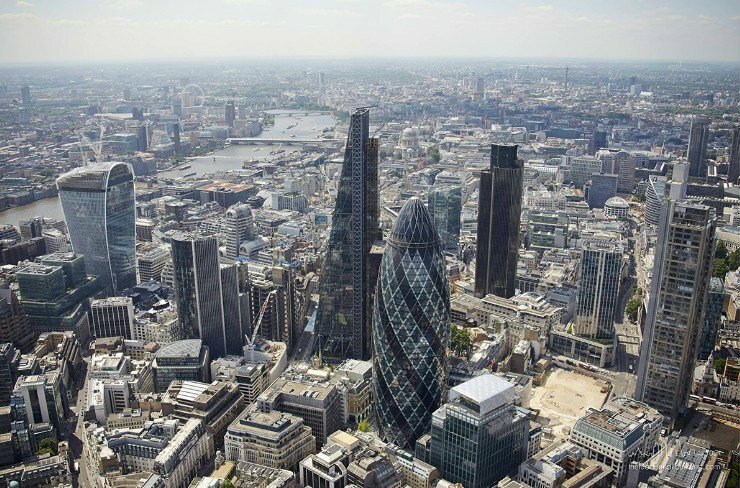 *The name originally given to it by the City of London Corporation’s chief planning officer, Peter Rees, who upon seeing a model of the concept “told Richard Rogers I could imagine his wife using it to grate parmesan.” The name stuck.